The full report is 6,000 pages long and the unclassified summary is 525 pages - but it highlights 20 key findings. We've summarised them below, and more details on each are available in the full release..
What did the Senate committee find out? 1) The CIA's use of "enhanced interrogation techniques" was not an effective means of acquiring intelligence or gaining co-operation from detainees. 2)The CIA's justification for the use of its enhanced interrogation techniques rested on inaccurate claims of their effectiveness. 3) The interrogations of CIA detainees were brutal and far worse than the CIA represented to policymakers and others. 4) The conditions of confinement for CIA detainees were harsher than the CIA had represented to policymakers and others. 5) The CIA repeatedly provided inaccurate information to the Department of Justice, impeding a proper legal analysis of the CIA's Detention and Interrogation Program. 6) The CIA has actively avoided or impeded congressional oversight of the programme. 7) The CIA impeded effective White House oversight and decision-making. 8) The CIA's operation and management of the programme complicated, and in some cases impeded, the national security missions of other executive branch agencies. 9) The CIA impeded oversight by the CIA's Office of Inspector General. 10) The CIA co-ordinated the release of classified information to the media, including inaccurate information concerning the effectiveness of the CIA's enhanced interrogation techniques. 11) The CIA was unprepared as it began operating its Detention and Interrogation Program more than six months after being granted detention authorities. 12) The CIA's management and operation of its Detention and Interrogation Program was deeply flawed throughout the programme's duration, particularly so in 2002 and early 2003. 13) Two contract psychologists devised the CIA's enhanced interrogation techniques and played a central role in the operation, assessments, and management of the CIA's Detention and Interrogation Program. By 2005, the CIA had overwhelmingly outsourced operations related to the programme. 14) CIA detainees were subjected to coercive interrogation techniques that had not been approved by the Department of Justice or had not been authorised by CIA headquarters. 15) The CIA did not conduct a comprehensive or accurate accounting of the number of individuals it detained, and held individuals who did not meet the legal standard for detention. The CIA's claims about the number of detainees held and subjected to its enhanced interrogation techniques were inaccurate. 16) The CIA failed to adequately evaluate the effectiveness of its enhanced interrogation techniques. 17) The CIA rarely reprimanded or held personnel accountable for serious and significant violations, inappropriate activities, and systemic and individual management failures. 18) The CIA marginalised and ignored numerous internal critiques, criticisms, and objections concerning the operation and management of the CIA's Detention and Interrogation Program. 19) The CIA's Detention and Interrogation Program was inherently unsustainable and had effectively ended by 2006 due to unauthorised press disclosures, reduced cooperation from other nations, and legal and oversight concerns. 20) The CIA's Detention and Interrogation Program damaged the United States' standing in the world, and resulted in other significant monetary and non-monetary costs. 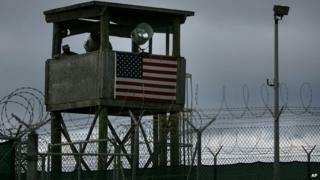 CIA report: Who were the detainees?